last year, i was all about simplifying. 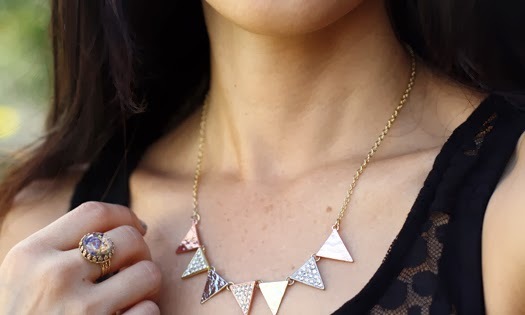 when it came to accessories, i traded chunky for dainty necklaces and rings, and simplified my arm candy. 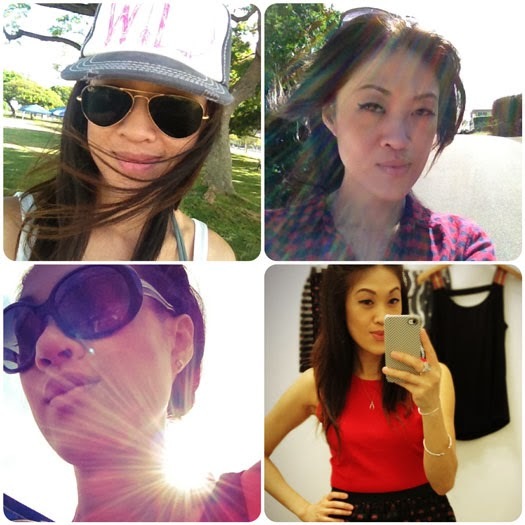 and while i still love dainty pieces, i'm kinda missing those bigger pieces. 2) i don't have the right necklines to show off those statement pieces...i've acquired a lot of collared shirts over the past year, and i've always preferred v-necks to other necklines. i personally like when a statement necklace hangs partly over the neckline of your shirt. compared with crew necks and scoop necks, boatnecks are a nice compromise because it provides enough backdrop for these pieces while still showing some skin. anyone with kids knows that there are days. good days. bad days. extremely bad days when you wanna scream F@CK! and pull your hair out. yesterday was one of those extremely bad days with mini-he. he was whiny and rebellious. he grumbled about anything and evvvrything from the moment i walked in the door. and yesterday, maybe it was the hour and a half of traffic i had just sat through, i just couldn't take it. my patience had worn thin. by the time we struggled through homework and a snack (or two, or three) he had to have, i'd had it up to my ears with his crap. i kinda stormed out of the house, and went to pick up mini-she from a school event. i purposely arrived about 10 minutes early so that i could just sit, de-stress, and have a few quiet moments to myself. in that time, i decided to scroll through my facebook feed and came across a video someone shared. i saw it earlier, but didn't have the desire to watch it then. not sure why i decided to watch it now, other than the fact that i could. i had the time. there were several captions because it was a share of a share, etc., but one said, fyi, this is a girl, and my friend's caption was, this is so disgusting and sick!!!. the screenshot was of a mother (i'm assuming) sitting on one side of the bed, her back to us, with her baby (on her stomach, face down, maybe 7 months old) in the other corner against the wall. and then kinda wished i didn't. the baby was whimpering and crying, so the mother whacks the baby on the head with a pillow, repeatedly. mother stops. baby cries. mother continues to whack the baby's head with the pillow. she stops. baby whimpers. next she hits the baby on the head with her fist, repeatedly. baby cries. baby whimpers. this continues with a few slaps on the face in between. baby cries and whimpers. she proceeds to pinch and twist the skin on the baby's arms, body, and legs. she stops. baby cries. if you're not feeling sick in your gut, or even tearing up yet, this next part got me. after a few (long!) minutes of this, the baby gets the strength to prop herself on her knees and reach out to touch her mama's knee. the mother flicks the baby's hand off her knee and pushes the baby away on her forehead, causing the baby to fall backwards and roll away. baby cries. 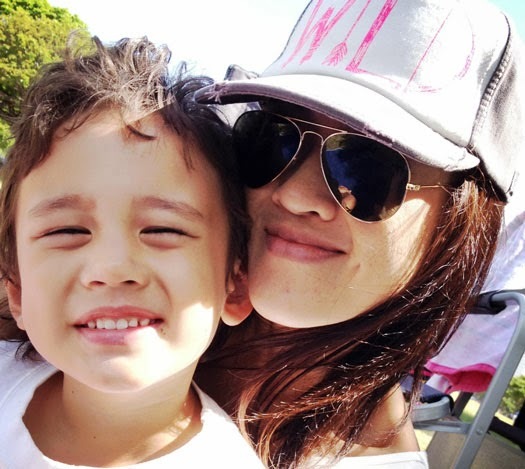 the unconditional love that this baby felt for its mama, even after all of that...wow. the baby instinctively reached out to her mom to be comforted. she just wanted needed a hug. the beating continued with her hand as well as with something hard like a remote control. what's worse? you can see two older children standing off to the side watching. not in awe and not scared. just watching, expressionless, while eating a snack as if this was nothing new to them. i'm not a religious person, but i can only believe that god made me see that video for a reason. 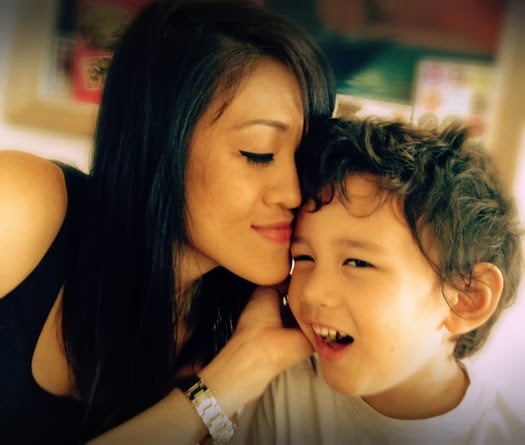 to put my feelings and situation with mini-he in perspective...that in the hustle and bustle of everyday life, trying to get everything done in the short time we have at the end of the day, amidst the orders i'm giving out and the demands he's making, sometimes all mini-he needs is a hug. needless to say, i went home and cuddled with mini-he. ps. the video has since been reported and removed, but it popped into my thoughts while driving to work this morning, and i couldn't contain my tears. even while typing this. 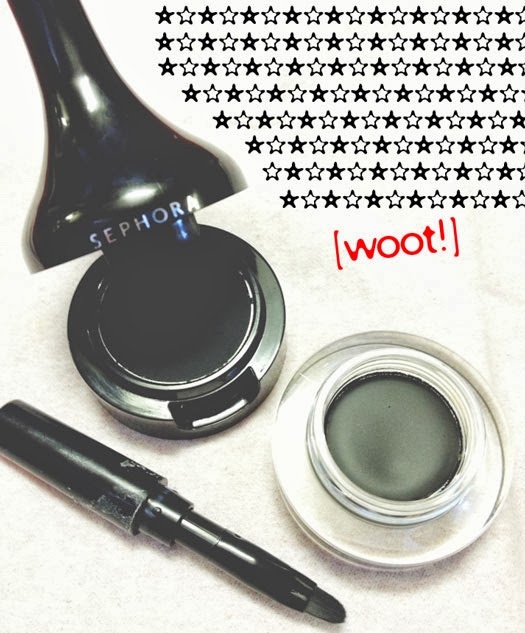 i give my sephora pitch black all-in-one waterproof eyeliner a hundred million stars for not budging or running! and if you read this...thanks. you're awesome. just curious, what lip color are you currently loving? 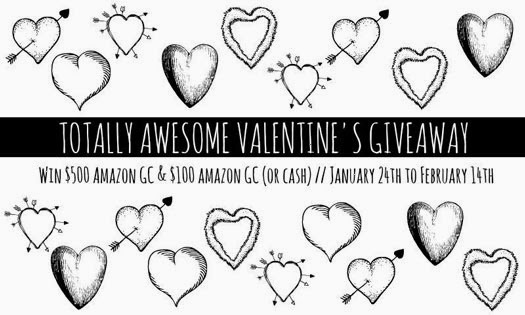 have you enter the totally awesome valentine's day giveaway? we're giving away $600 worth of amazon gift cards. i had a productive weekend full of firsts. and while i'm usually dreading mondays, i can't wait to get back on the treadmill. what?? i mean, just look at the first picture. invited by a friend, mini-she and i went to our first women's conference on friday night. over 800+ women in an energetic atmosphere, singing songs of praise, inviting jesus into their hearts. for any newbie, it's overwhelming...even a bit uncomfortable. but i did enjoy the speaker and her message about change. 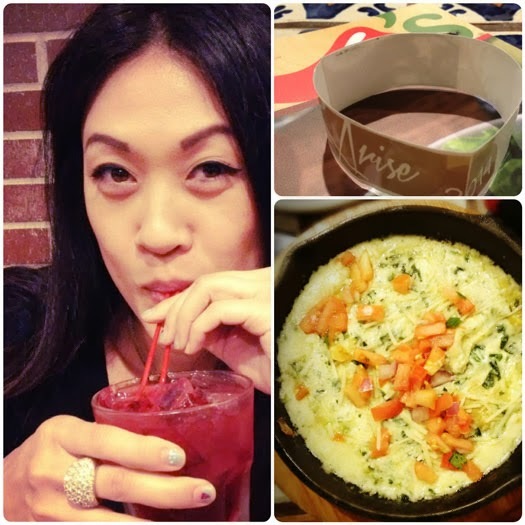 after the conference, i had some one-on-one time with mini-she as we chatted over good eats. and artichoke dip and chips. on saturday, i met my friend (and marathon training partner) for our first run together in 2014. we have been keeping each other in the loop about our weekly workouts and treadmill runs, but it was nice to actually hit the pavement. following our 5-mile run (woot! ), her husband juiced for us. 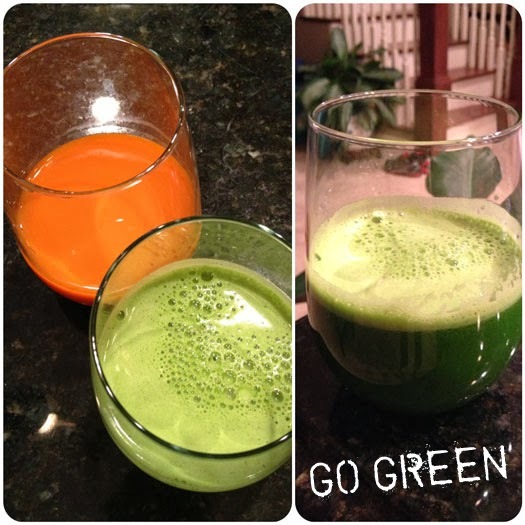 i had my first ever green juice. greens & kale, green apples, lemons. it did have a strong "green" smell, but it was totally drinkable. i am definitely team green. how about you? 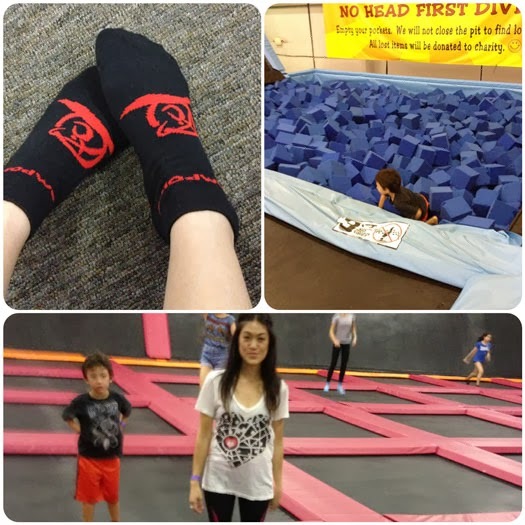 and on sunday, mini-she had a church outing to a local trampoline place. since i had to pick her up, i decided to check it out with mini-he. it was our first time there, and it was super fun. i'd only seen YouTube videos of similar places, so i was confused when the guy said 'only one person per trampoline'. 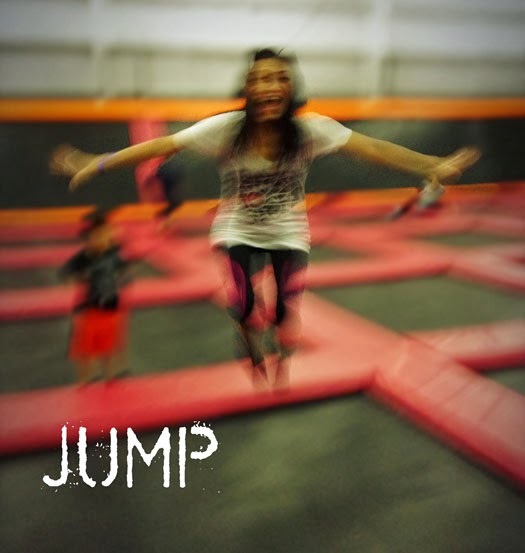 makes sense, but there were tons of people there; how many trampolines could this place possibly have, i wondered?! but i understood once i saw it...one person per square. you have to wear non-slip socks, which you can purchase there for $3. mini-he had such a great time and kept thanking me for bringing him to get some exercise. he did complain about being a little sore today, but so was i. i actually considered purchasing 90 minutes of jump time, but one-hour is plenty! 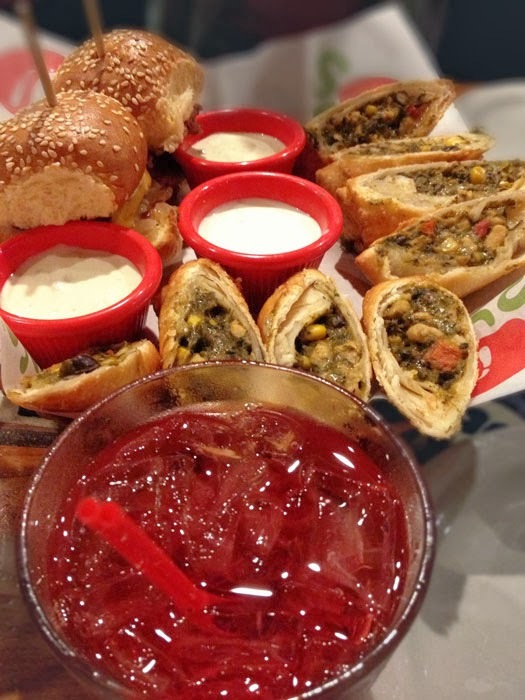 tell me about your weekend. what are you going to buy your valentine this year? a $100 Amazon gift card. there are lots of entries to choose from, so take your pick...or do them all! we also have daily entries, so bookmark this page and come back every day. organized by: Oh My Gosh Beck! want to participate in giveaways like these? the big news around here is the giant surf hitting hawaii's north shores this week. the expected waves of 40-50ft high, biggest this decade, were deemed too dangerous and deadly even for professional big-wave surfers. oh how i wish i was at the beach house this week...these huge waves are such an awesome sight to see. 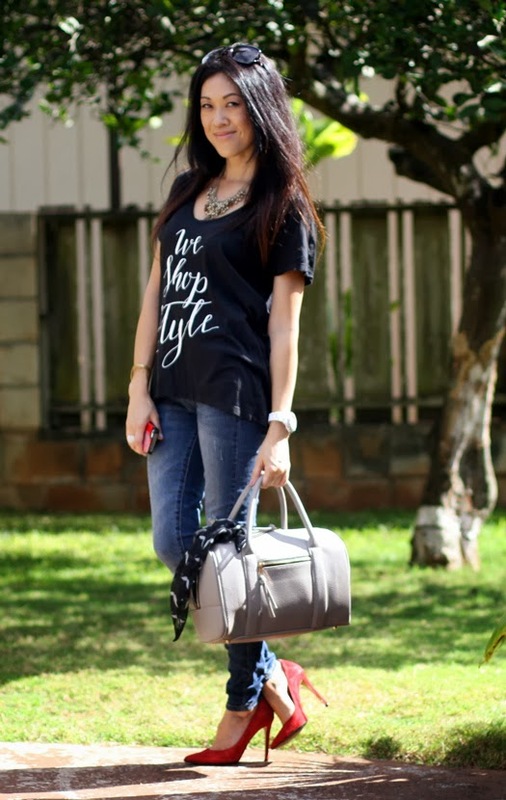 another jeans + tee combo wearing this parodical tee from Patty's Closet. in case you were wondering, the saying was meant to be somewhat of a spoof on the renaming of the legendary fashion house, yves saint laurent. the brand's most recent designer chose to drop 'yves' and work under saint laurent. the iconic interlocking YSL symbol is what many of us associate the brand with, and some people were not happy with the loss of Y. the result? this tee. what are your thoughts on this? stay tuned tomorrow for another awesome giveaway. 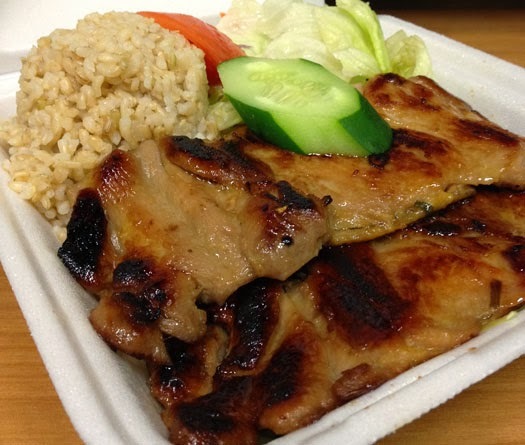 healthy bbq chicken plate lunch. 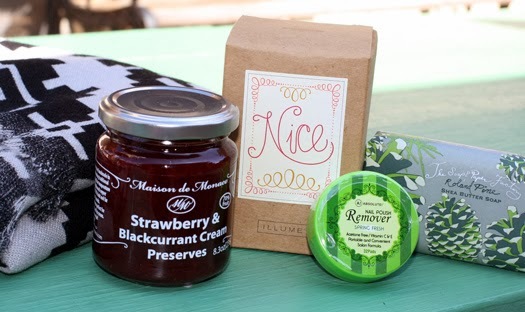 i love the idea of subscription boxes. 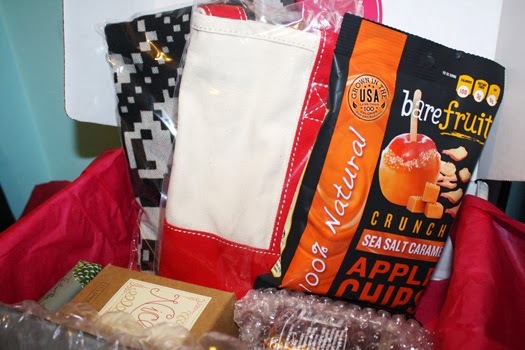 the thought of getting surprise goodies delivered to your door every month is exciting. there are so many products out there, i sometimes have no idea what to try or where to find them...and you may never know a company existed until its product is given to you. 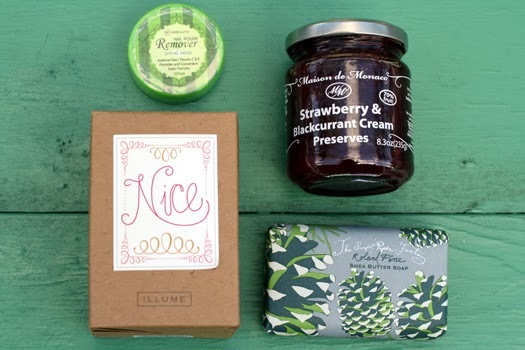 in addition, subscription boxes make wonderful gifts. 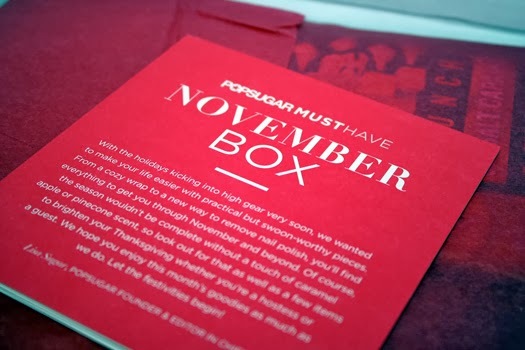 i was lucky to receive POPSUGAR's Must Have box for november which exceeded my expectations of a monthly box. the contents of this box were full-sized and themed for the holiday season. the box was packed nicely and filled to the brim with goods. you can find more information on each product here. i tore this open right away. i really wanted to like these caramel apple crisps because i love fruit snacks, and the caramel + apples sounded yummy and festive for the holidays. 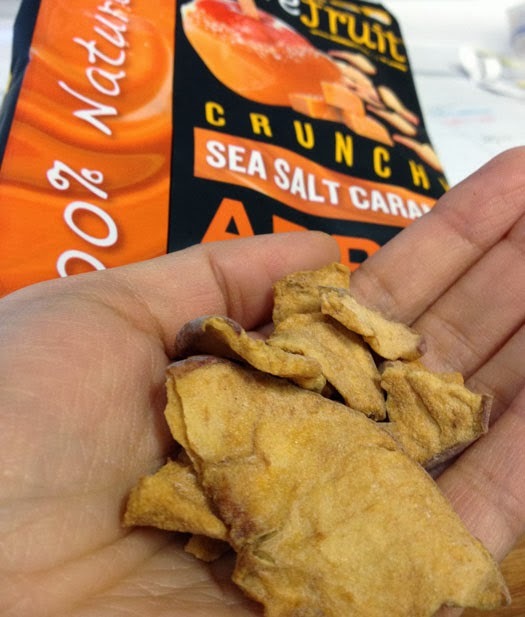 while i liked the crunch and chewiness (when i came across a caramel bit), it tasted like, eek, hate to say this, but...cardboard? great idea for a flavor combination, not so great execution. i'd love to try other flavors. i was most excited about this wrap. it's huge and soft and warm, and i appreciated its neutral colors. 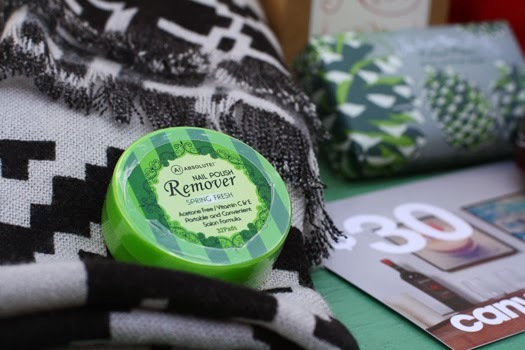 it's this wrap that made november's must have box totally worth it. 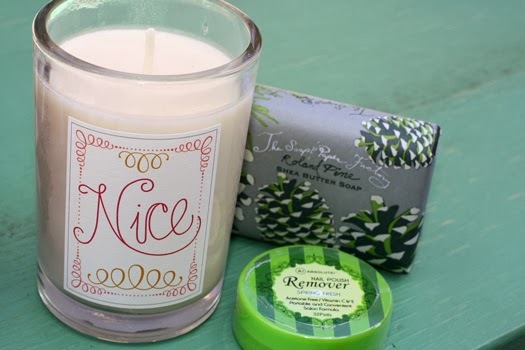 i have yet to try the rest of the products, but i love the subtle pine scent of the soap and the 'nice' sweet smell of the candle. i look forward to trying these nail polish remover pads, because the bottle + cotton balls can get messy. 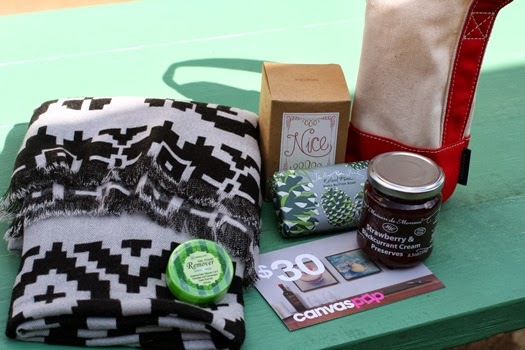 and this canvaspop gift card will be put to good use; my niece has been taking tons of pictures at the beach so that we can print them out and use them as artwork to decorate the beach house. 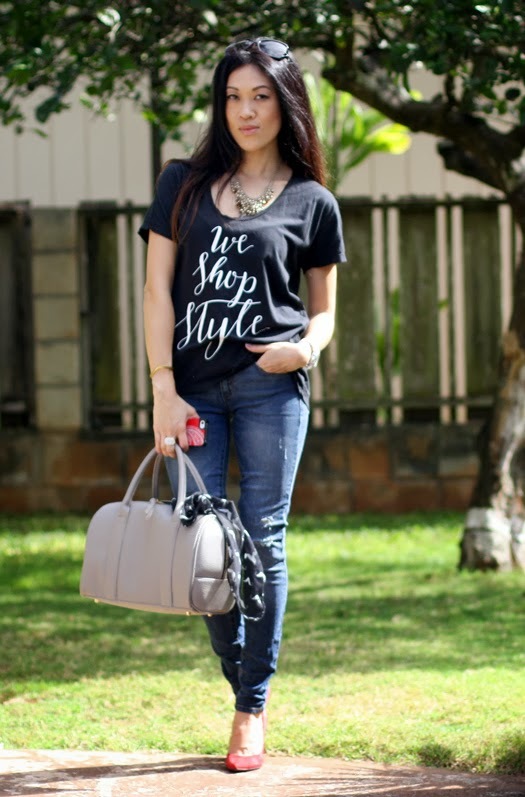 one of my most worn combinations is a [graphic] tee + jeans + heels...with a jacket or blazer, if need, accessorized with a statement necklace, great bag, scarf, pair of sunglasses, or all of the above. 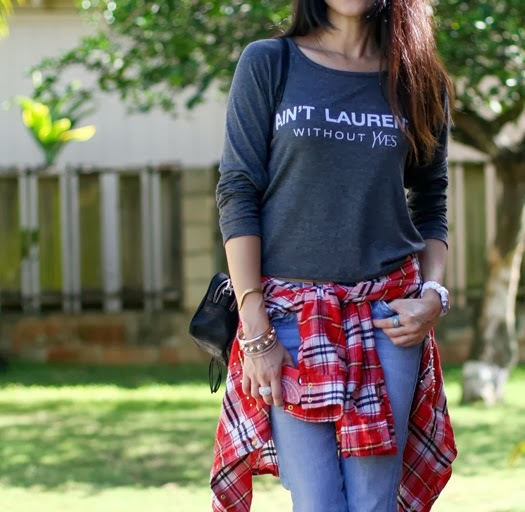 it's a casual combination that looks polished if all the pieces are just right...meaning a slightly oversized tee and a great-fitting pair of jeans. 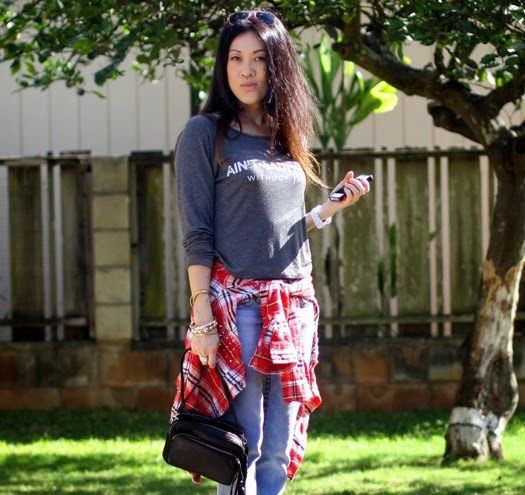 these JustFab signature skinny distressed denims in indian ocean are the perfect match for a tee and heels. 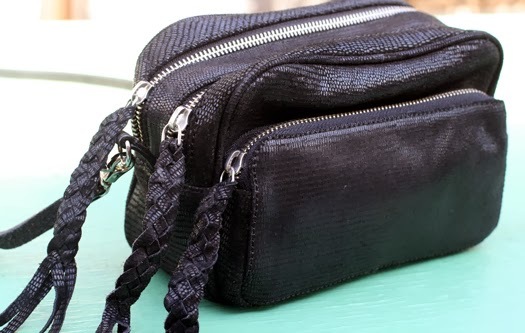 it's not overly distressed, making it wearable to the office, and is perfectly fitted. i have a couple pairs of JustFab jeans, but they didn't make them in my size at the time (i had to size up). many of their newer styles are now available in size 24, and i couldn't be happier with the fit. this is definitely one to stock up on, and right now, you can get 2 pairs for $49.95. 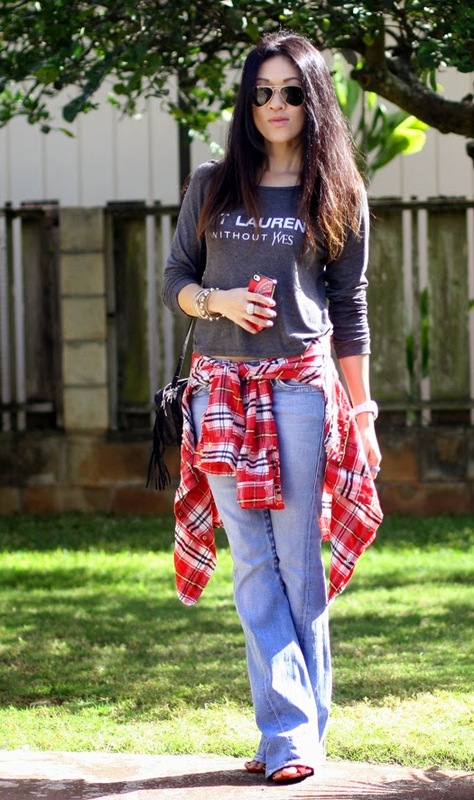 have you tried JustFab denim? what brand is your favorite pair? 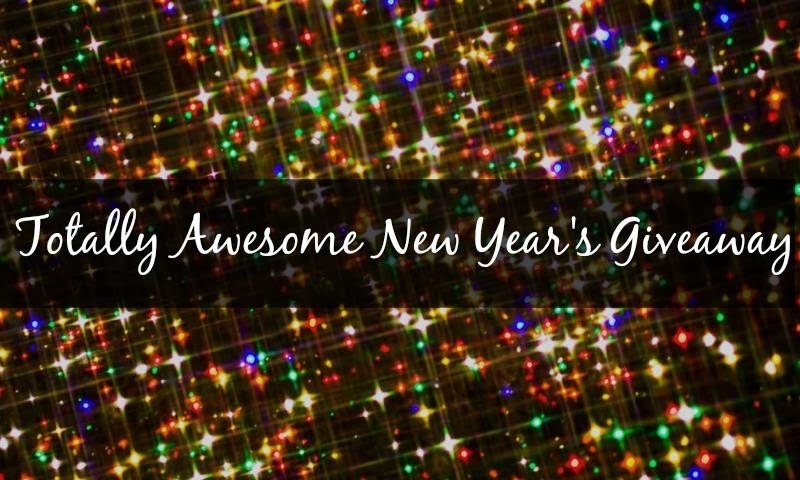 last chance to enter the totally awesome new year's giveaway! 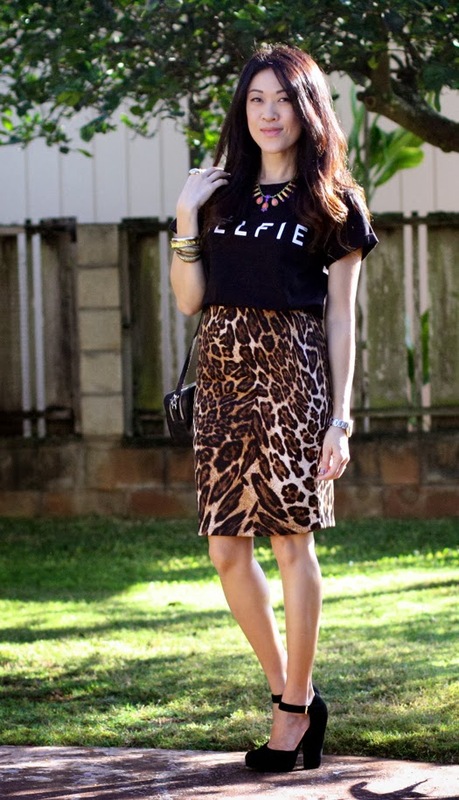 it's tempting to want to pair animal prints with black, because it's a sure thing. 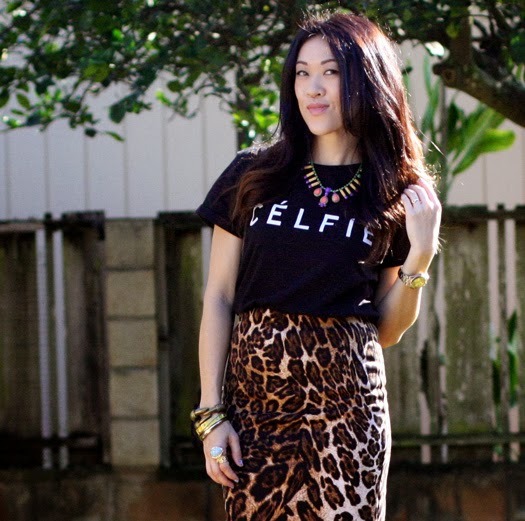 for those who are still easing their way into animal prints, it's safe. and on days when i don't have time to put too much thought into what i'm wearing, i also reach for black. 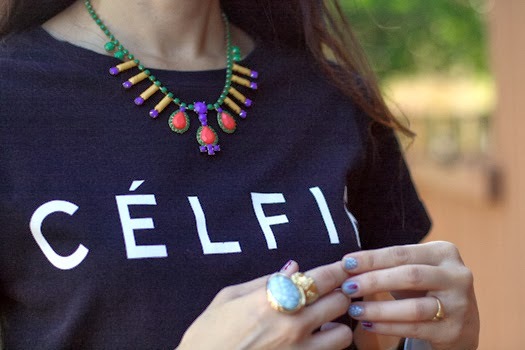 but if you really want to add oomph to your outfit, go for color. any color. 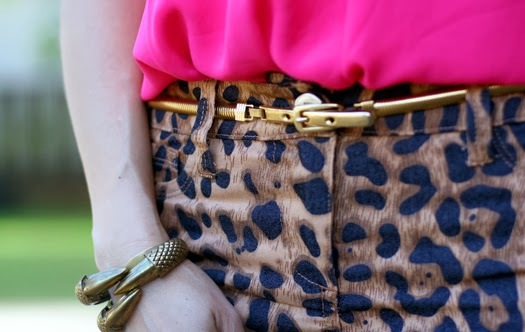 i've proven that you can even wear navy with leopard. 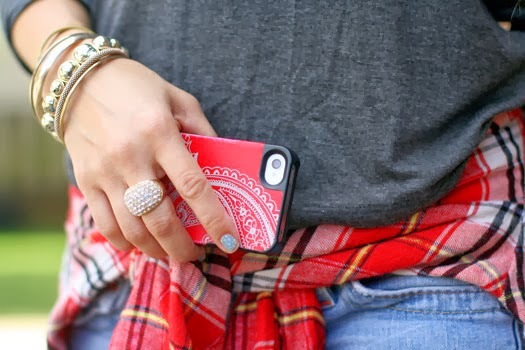 some of my all-time favorite color pairings are with red (here) and emerald (here). 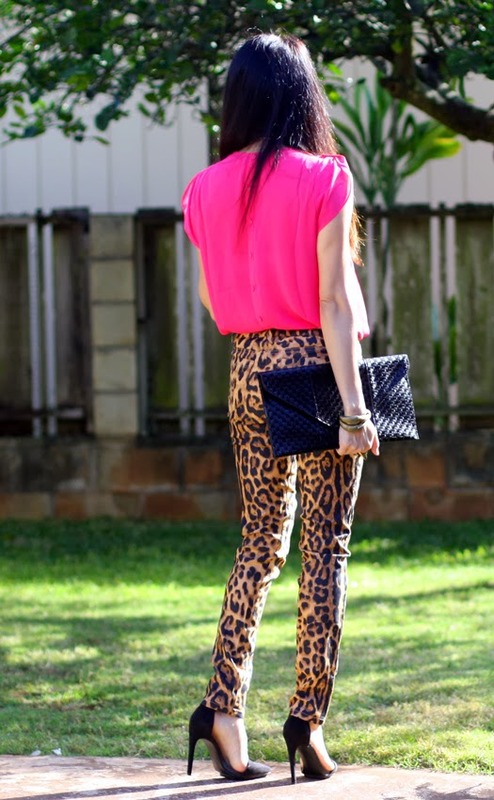 today i'm pairing these jaguar print pants from Patty's Closet with hot pink. yeeeeow! even though i'm working on this martin luther king, jr. holiday, a great weekend was had. i spent most of it hanging out at the beach house + a baby shower...which translates to lots of good eats. however, i did manage to get in a couple workouts, too. btw, i'm keeping track of my workouts via dailymile; you can view the latest at the bottom of my sidebar. eventually that and other fitness/marathon related news will be moved to its own page. if you're on dailymile, holla! 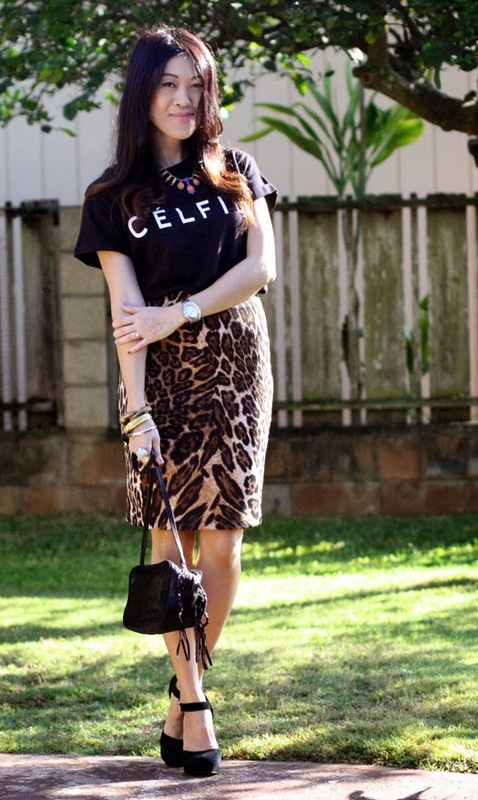 what's your favorite animal print combination? 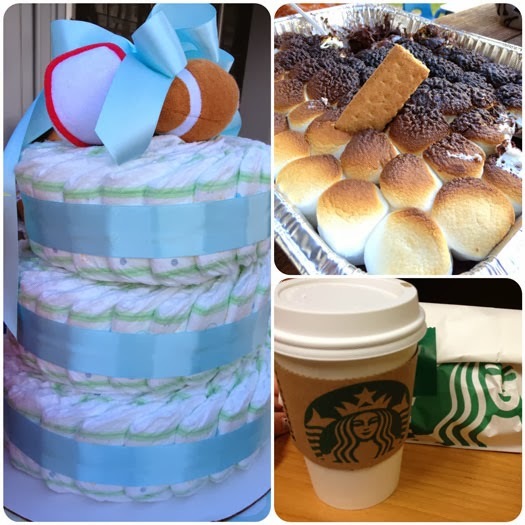 a sports-themed diaper cake, my neighbor's cute s'mores in a pan idea, and lots of coffee for the chilly evenings at the beach house. last couple days to enter! 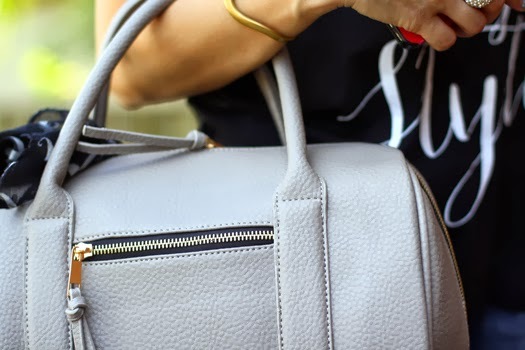 it was must-have at first sight with this bag. 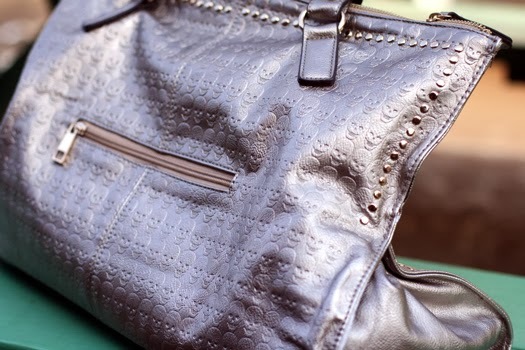 with skulls, studs, and this perfectly neutral pewter color...what's not to love? plus, it perfectly balances the femininity of this pretty lace dress. and we all love a good juxtaposition. both are from Patty's Closet. ever since signing up for the marathon, i've been obsessed with all things fitness. i've been reading up on everything from running shoes to performance nutrition to training schedules. i'm even feeling a bit like forrest gump, wanting to put on my running shoes and just run everywhere. if only mini-he could keep up. sigh. i guess the treadmill will have to do for now. 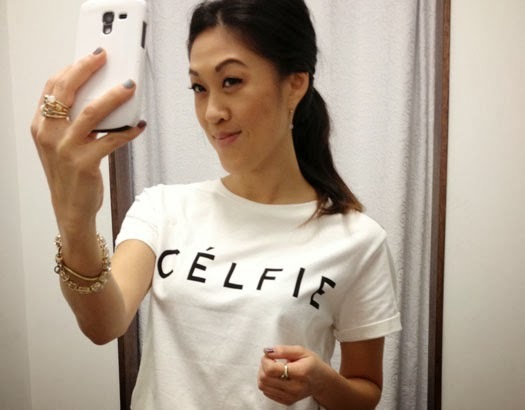 wearing a designer inspired tee from Patty's Closet. 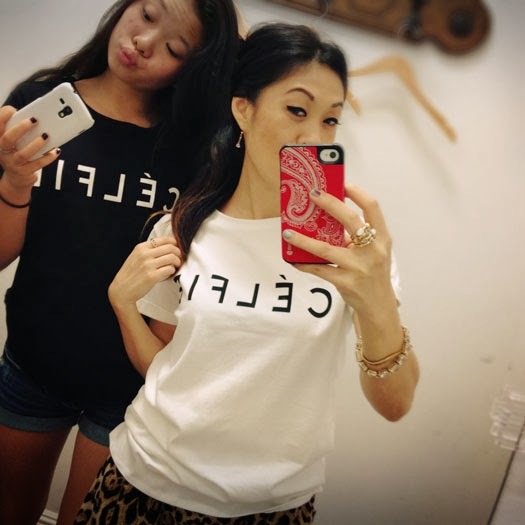 and for those who aren't in the know, (don't feel bad, i wasn't either until i googled) a celfie is a selfie that is taken specifically with your cell phone. 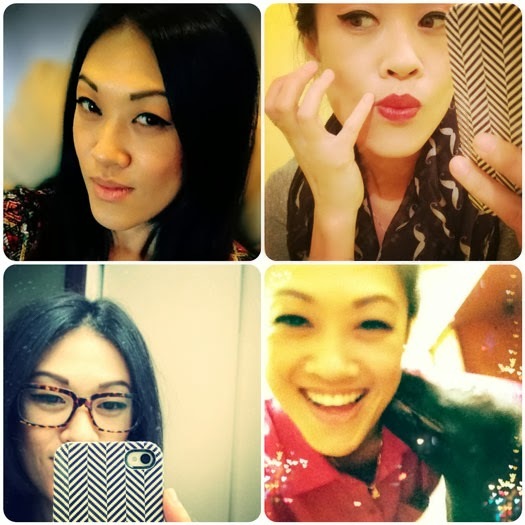 what would a celfie post be without a celfie? an [oomph] review. Firmoo sunglasses. a night at the beach house. guess who popped the question. totally awesome New Year's GIVEAWAY.